An Economic Overview of Woking | Curchod & Co.
Woking Borough Council has implemented a five-year strategy that seeks to ensure that Woking achieves a status as a premium global business location with a well-connected business environment that is underpinned by a highly skilled workforce. With the business sector rapidly growing (by a quarter) since 2010, Woking continues to mature at a much faster rate when compared to the rest of Surrey. Coupled with positive survival rates for new start-ups and a high concentration of knowledgeable individuals, this borough continues to show great promise for those who are seeking to launch themselves and their enterprise into the local economy. This is especially true for those who work predominantly within the computer consultancy and software development industries. In addition to technology, the following sectors also include some notable businesses. Despite all these positive factors, Woking Borough Council has acknowledged within its economic strategy that greater emphasis needs to be placed on helping to grow the businesses of tomorrow and whilst Woking Works already offers support to start-ups and micro-businesses more needs to be done. In addition to this acknowledgement, they have also recognised that Brexit could provide new opportunities for UK based businesses. Another key factor in the success of future businesses is their workforce. 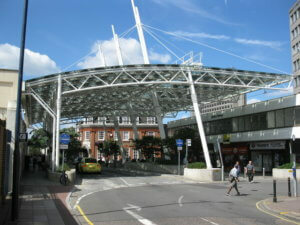 With much of the residential population within Woking holding a Level 4 qualification or higher (46% to be precise) along with low levels of unemployment and higher than average self-employment rates, this would also indicate that many local businesses continue to be successful both in terms of resilience, but also when it comes to retaining its existing workforce.